The Central Bureau of Investigation was on Monday granted seven days custody of the main accused in the Saradha chitfund scam, Sudipta Sen, suspended Trinamool Congress member of Parliament Kunal Ghosh and four others by a local court in connection with the probe ordered by the Supreme Court. 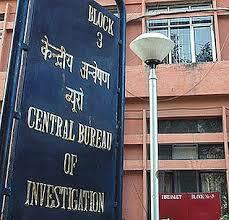 Additional chief judicial magistrate Haradhan Mukhopadhyay granted the custody of the six accused on a plea by the CBI to unearth the larger conspiracy in the scam. CBI also got custody of Debjani Mukherjee, a close associate of Sen, Manoj Nagel, Arvind Chouhan and Somnath Dutta, who were senior officials of the Saradha Group of Companies. The central agency had prayed for 10 days custody of the accused, but the court granted a week. All the six accused were in the custody of the West Bengal Police at present. while taking note of allegations of scamsters being 'patronised' by people in 'high positions'. Holding the scam as a 'sordid affair', the bench had said that investigation by the state police had not unfortunately made any significant headway in recovering the money. Referring to a Securities and Exchange Board of India report, the apex court had said that the Saradha group had floated as many as 160 companies and four of them were the front runners in the sordid affair. It was also noted that 2,21,000 agents were working for Saradha Realty India Ltd and the report estimated the collection made by the Saradha Group of companies at Rs 2,459 crore (Rs 24.59 billion). Sudipta Sen and Debjani Mukherjee were arrested from a hotel in Kashmir's tourist town Sonmarg on April 23, 2013 and were taken in custody by the Bidhannagar Police of West Bengal. The others were arrested later by the state police.